I love this topic of the supernatural realm of God. I have heard other terms used also. 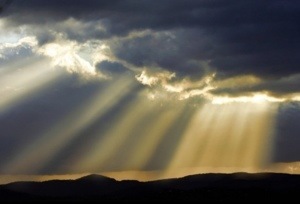 The glory realm, heavenly realm, unseen realm, God realm, spiritual realm… even what is called ‘open heavens’. I am more and more pursuing this glory realm of God because I believe all the supernatural encounters that happened in scripture are for us today. If Moses talked with God face to face like a friend, so can we. If several men of God heard His audible voice, it is also for today whenever He choses to. If there were all kinds of angelic visitations in the Bible, I believe they are for me too. If there were all kinds of signs and wonders in the Word including raising of the dead, they are for today also. And I truly believe all signs, wonders, healing, prophecy, word of knowledge, deliverance, supernatural financial provision, angelic encounters and more – happen when we live in this God realm. The heavenly realm is the manifestation of God Himself as the only true and living God. No one is His equal. God is not stingy with His glory. He wants us to feel it, see, smell, touch and taste it. To experience it as He is not putting up barriers to keep His children out. When we come out of the glory of God, we are bright, shining, different, changed. Moses had to veil his face. You can tell when people have been in the glory realm. We were made to dwell in it. I want it. Thus I am continually studying the Word of God, reading books or listen to podcasts by authors who live and minister out of the heavenly realm too so I can glean from them and learn how to hear from God for myself and experience His supernatural move and His open heavens in my life and our family and even in my business. The Word says we can all come boldly before His throne. So we have unlimited, full access into the throne room as His children. We activate the glory realm by listening to the voice of the Lord and doing what He says. I believe we host the manifest presence of God through prayer, praise and the prophetic too. Everything we need is met because He is in our midst. There is an environment where God’s works manifest. It needs to be stewarded, sought after, embraced and we need to sustain it. We are seated with Him in heavenly places. Praise is the principle activity that enthrones the presence of the Lord in our midst. Whenever we praise that way, the Lord comes and is enthroned in our midst. When the glory comes, the Kingdom comes and everything else. I love how Randy DeMain puts it: Praise keeps God enthroned in our midst and when He is in our midst, we go into worship! You praise God until the worship comes. You worship God until the glory comes and when the glory is here then you stand in the glory! Wow! I love how Katie Souza puts it that when we ascend into the glory realm, all God’s provisions, deliverance, healing, signs and wonders and all things are expedited. I love it how Patricia King puts it: The glory realm is the manifestation of all who God is and all that He has. So how do we experience the supernatural in our daily walk? That is exactly what I asked the Lord. These authors and forerunners in the faith can teach on the topic way better then me and show through Scripture what is available in the spiritual realm for us today too, not just limited to the old and new testament times. I hope you can enjoy some of them too and feel free to add your own favorite books and podcasts in the comment section below and especially testimonies of how you have experienced God’s supernatural works in your life. WOW ! One must have a prayer life to experience the supernatural lifestyle.God has chozeh me as a remnant to come behind the veil and It all started by me hering His audible voice.The supernatural life is the normal way we all should be living.Before the fall of man,Adam and Eve lived this supernatural lifestyle.I have written part of my book “Memoirs of a Prophetess”. To God be the Glory! Lisette keep praying and staying in the will of God ! Yes… Indeed! I agree that this is what should be normal for all believers. Sadly we get out of habit of approaching the glory realm and lose touch sometimes. But it is He Himself that pulls us back in to experience His supernatural realm. My blog is on the spiritual world, the unseen world! My kids (and sometimes I,) can see into the unseen world, and I have been sharing what we have seen with the blog world. The other part of the blog, is on the dreams of the future our family has been given. I have been searching and praying for some time now, to meet others who can also see into the unseen world. Can you see the demons and angels work in our world? Please let me know if you can! There are hardly any words I can say to respond to your post on this page. I am a woman of God who also desire to experience the supernatural power of God. Reading your post sounds like my prayers. I say to myself if the glory of God can fall upon Moses so can it upon my life. I try to spend much time with God reminding him who his in my life and everyday my prayers and communication with God is like I desire to experience (The almighty) the way the anointed men and women in the bible. I am ready to see the manifestation of God in my home, on my job, in the church. My dear sister, I pray for God’s divine will be don in your life and one day soon you will tap into the untap spiritual realm God’s have for your life. Continue everyday to press toward the mark and fix your eyes on Jesus who is the Author and Finisher of our faith. Be it unto God, his perfect will be done in your life. I am on the prayer line interceding on the behalf of God’s people for his perfect will to done in our lives and for the ministries to experiencing signs and wonders in heaven and on earth. Amen. How we long to live there… in the glory realm. Am grateful for this article. There is this man of God I hv been following from Canada. His name is Joshua mills. God has used that man to bless and impact ma life. Am so much determine nw to experience and live in the supernatural Glory of God. Yes, Rene… I have listened to Joshua Mills a few times on Podcast. Especially interviewed by Patricia King. When I listen to him I get so hungry also. I love it. How do you follow him? On Facebook or twitter or does he have a blog? A friend of mine bless me with a cd of Joshua mills, that was how I got to knw him. But the most amazing thing I have experience is a friend of mine who is here in cameroon who has been on a fast for three years, braking 2014, flashes of light were on his body, his mum became sacred. The lights were like lightening spark. Praise God I was a withness to also experience this glory of God release on him. I meant to say; his mum became scared of the experience when she saw the sparks of lightening on his son body. I my self too was a witness to this great experience. Hi lisette, it has blessed me reading your blog, I just hopped over after seeing you ‘liked’ voiceofsweetperfume. Looking forward to reading more of your heavenly realm encouragements. I really love the way you have your site set up. Myself, though I believe in many of the things described in this comment section, do not myself experience the more dramatic of them. I don’t hear God’s audible voice, but more as the Bible describes, a small still voice when I am praying, a simple understanding of what God wants of me in my life. I know the spiritual battles are raging around us constantly, but I also know that if I could see these battles in a physical sense, I would be too overwhelmed by them to continue living the earthly life that God placed us on this Earth to live. So for those special few who actually see these things occurring, I say to them, do what the Lord has chosen for you to do, but for those who don’t see these other realms around them, please know that that is nothing to worry about, it is not a failure of any kind, but rather, I suspect, the way most Christians live, knowing these things are happening, but in a realm that we will only be truly conscious of at another stage of our existence. The Holy Spirit gave to some people one gift, and to others, He gave another gift. I think everyone should be happy with the gifts they were given, and not worry too much about having your neighbor’s gift. I thank you once again for your visits to my site, they are very much appreciated, and I really do love my visits to yours. Sorry about the length of this comment, I think I got carried away. Lol. You are always welcome to leave lengthy comments!! 🙂 I am so happy for your clarification that there is nothing wrong with those who don’t experience certain things. I myself do not hear God audibly with my physical ears. Not that I wish I did, I am so happy to know His still small voice in my spirit. But yes, the way you explained it, that’s really how it is. God gives gifts differently to each according to how He wills and we are only vessels. Maybe I should re-word some things so it doesn’t give the impression that those who don’t experience certain things are a failure. I’d be a failure myself in that case, haha. Thank you so much for your wonderful friendship. You are always welcome to add where I lack. It makes my sharing more complete. Be blessed. Please do not misunderstand, I was not correcting you, my intention was only to support what you said. The clarification was for others, with yourself, I was in agreement entirely. Your words simply made me think of a lady who wrote me to say that she prayed to God every day in tears because she didn’t speak tongues. I explained to her that not speaking tongues was not a reason to cry but that she should celebrate the gifts she had received from the Spirit instead. But it wasn’t your page that had caused her to cry. Your site is one of my favorite places to visit. So please don’t ever think I was presuming to correct you. God bless, and I’ll read you later. I love the sharing from different perspectives so that we all grow together sharpening each other. I know, one Pastor one time was also sharing with me being so sad that he didn’t speak in tongues. I also was in that position then to clarify to him that it is a gift, not a sign of being a believer. And to go in peace, celebrating the gifts he does have. I find when need a gift God in wisdom will give it, but I don’t pray for things I might abuse or misuse or others not benefit from. Wisdom, clarity, discernment, far more precious than tongue or prophecy, in bringing other to Christ. The Good News is not Good News unless they can understand it. Bluntly, as an old logger in my first congregation put it, “Speak so we know what you say!” Greek, Hebrew and tongues have their place, but if they don’t understand you’ve got zip! Haha, Yes! Well put, my friend. And you are right. I have experienced being able to operate in a gift ONE time and then never again. It was in that moment God wanted to use me in that gift although it is not one I exercise normally. I clearly remember this one time when I was a teenager yet, God gave me the gift of knowledge and never operated in that again. Me too, once as a teen I met a real satanist. He was really troubling me God spoke through me in English. His eyes went wide in fear and he ran! to this day I don’t remember what I said, but that fellow avoided me like the plague after that!